I went for a ride Monday morning with Jaden. He was in his rider and enjoyed a bumpy ride at times but overall relaxing time on our usual route. On the way back we had to make two detours due to road construction. This added another mile and about 10 minutes of slowly maneuvering around it all. Upon arriving home and putting equipment away, there was a small explosion. The tube and tire exploded and instantly my front tire was flat. Thankfully we were both at home and not out on the trail. It would have made for an unfortunately long day. 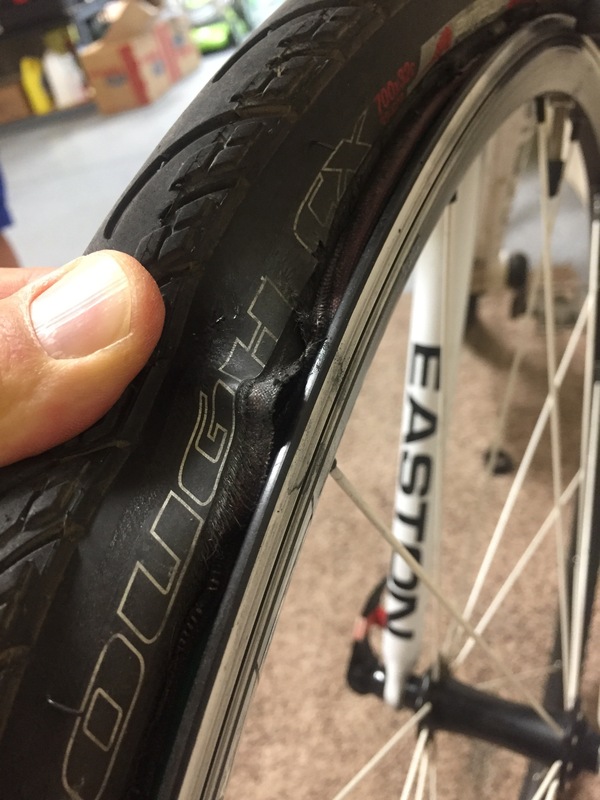 Now to get new tires and tubes….